A major water main break early Friday morning forced the evacuation of four Belmont homes and left behind a mess. Crews swarmed the scene at Monserat Avenue and San Juan Boulevard when the break was reported around 3:45 a.m. They said a 6-inch cast iron pipe from 1958 had broken, sending hundreds of thousands of gallons of water into the streets and nearby houses. "It was probably 120,000 gallons of water per minute," said police Capt. Patrick Halleran. 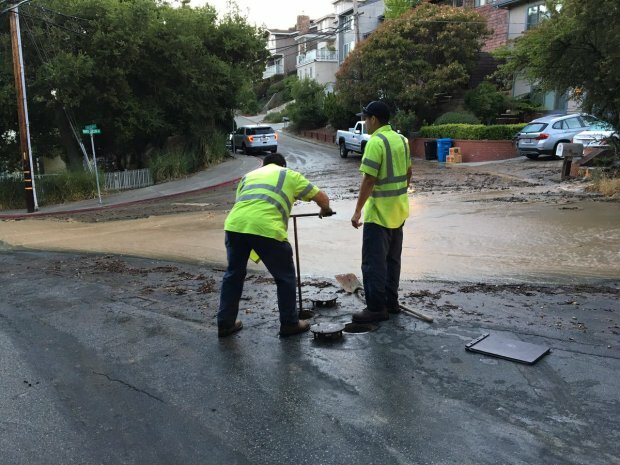 A major water main break early Friday morning forced the evacuation of four Belmont homes. Crews swarmed the scene near Monserat Avenue and San Juan Boulevard. Kris Sanchez reports. The break was capped around 7:45 a.m., police tweeted. Roads in the area were not closed, they said, but urged drivers to be cautious due to the mud on San Juan Boulevard near Monte Cresta Drive. 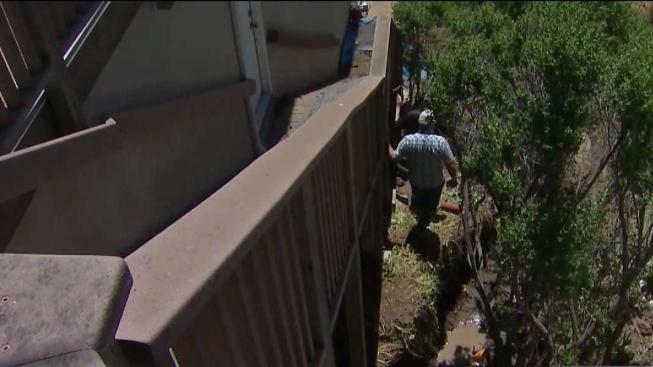 Homeowners said they were rudely awakened early Friday morning by what sounded like a river rushing through their neighborhood. Geologists first checked the evacuated houses to ensure that they are structurally sound before allowing residents to re-enter, according to city officials. As Friday progressed, however, all eyes remained on a hillside above the houses that residents worry may have been compromised by the water main break. CORRECTION (June 2, 2017, 4:15 p.m. PT): An earlier version of this story reported the break was capped around 7:45 p.m. This has been corrected to 7:45 a.m.